3rd. row: Moule M, McGregor R, Hurst, Ransome, Ind D, Ellwood, Handley, ?, ?, Vogel, ?, ? From his position and posture, it appears that Carey was the senior housemaster. But three years later, Morton Peto was. Does this mean that Peto was promoted from junior to senior housemaster in the same house? I know of no other such instance. Incidentally, future Labour MP Stuart Holland ought to be on this photo, near the bottom. Anyone recognize him? I would say 2nd from left in bottom row. As to your mention of Holland, I have no recollection of that name in Maine B during my time there but my memory is not 100%. 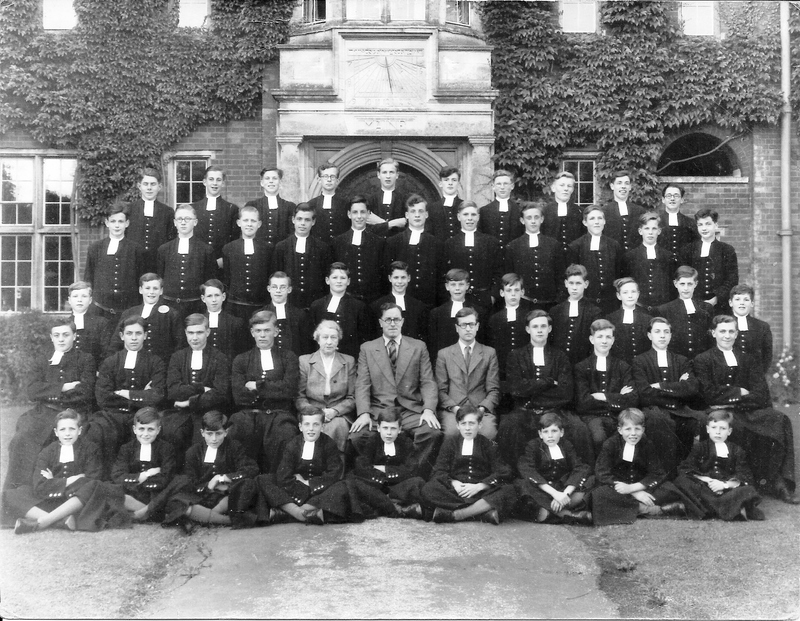 Godden-Kent (next to me in the back row) reminded me that the lad you refer to in the front row is named Carr but there are other unidentified individuals in the picture so Holland could be one of them. Alternatively, Holland could have arrived in September 1953. As you say, maybe there are others out there who can shed more light on the subject. Peto taught me French in my first year. I came second in the exam, beating all those in the top set who had had French in the Prep or at their prep school. So he must have been a reasonable teacher. In any case I liked him. I may have been wrong about Holland being in MaB, or perhaps he only moved there to be house captain. He was 4 years above me (started in 1951). Elsewhere on this forum he is mentioned as having been in LaA.